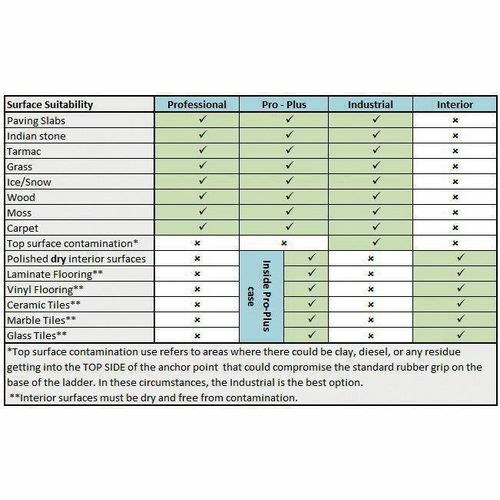 A simple way to improve ladder safety. Indoor version has a high friction rubber base, for smooth floors. Outdoor models have engaging pins on the base to grip most exterior surfaces, and rubber or pin cushion ladder foot-beds. 'Universal' includes a protective carry case with rubber covered base, suitable for smooth indoor floors. Overall L x W x H: 600 x 400 x 75mm, weight 6.6kg. One of the greatest concerns when working at height is the ladder being unsecure and slipping from underneath the user. Our ladder slip resistant anchor point can help to prevent this from happening, providing more security for the user to make them safer. 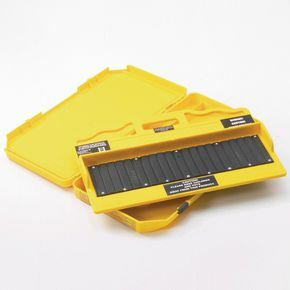 There is a handy carry case which has a rubber covered underside which means the case can be left open and used with the base on slippery interior surfaces. 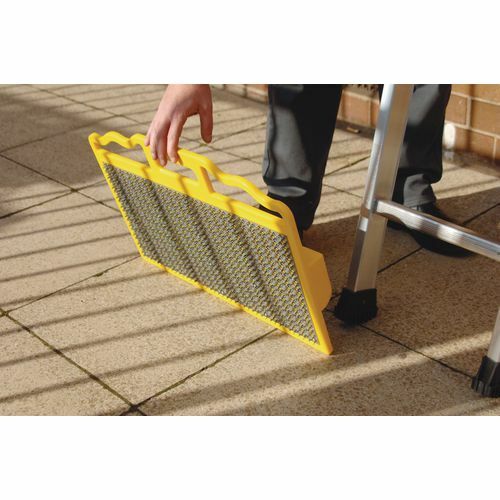 The unique base has engaging pins on it which will grip most exterior surfaces such as paving, tarmac, grass, gravel and even ice. Overall the size of the base is; L x D x H; 600 x 400 x75mm and has a weight of 6.6kg. 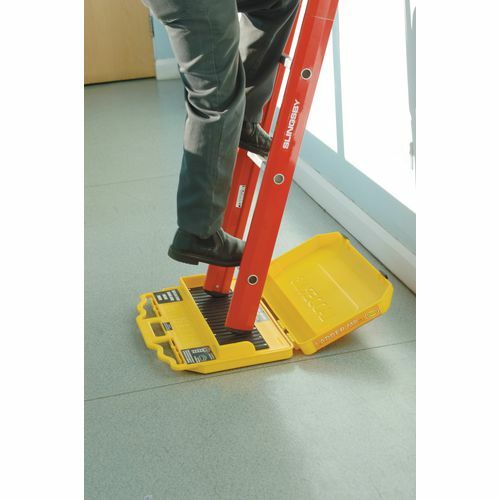 Our slip resistant anchor points offer extra safety to the user, helping to make a ladder more secure and prevent the risk of it slipping from underneath the user even in difficult conditions. They come with a 12 month guarantee and FREE UK Delivery.